LASIK surgery reshapes the cornea to address many of the common forms of vision impairment, including nearsightedness, farsightedness, and astigmatism. This surgical procedure was approved by the FDA in 1998, just a little over 20 years ago. Despite how new the procedure is in terms of vision treatment, the American Refractive Surgery Council reports that as of 2017, more than 19 million LASIK procedures were performed in the United States. Here, Dr. Raul Peña presents LASIK statistics to help our McAllen, TX patients understand why LASIK continues to be such a popular laser vision correction treatment. Currently, there is no national database that records the outcomes of LASIK surgery. However, numerous trials and studies have been completed to examine the results of LASIK. While the specifics of these studies may vary slightly, nearly all look at what degree of vision a patient enjoys after LASIK surgery. More precisely, most studies report what number of participants achieved 20/20 vision following LASIK treatment, and what number achieved 20/40 vision after treatment. In 2009, a group of investigators from the United States and Germany got together to conduct the LASIK World Literature Review - Quality of Life and Patient Satisfaction. This review looked at clinical LASIK studies conducted between 1998 and 2008. Recently, the group got together again to examine more recent LASIK data. The vision results of LASIK surgery speak for themselves, but most studies also collect data regarding the number of patients who report being satisfied with the results of their LASIK procedure. Based on the number of patients that achieve 20/40 vision or better, the global LASIK review found that only 1.2 percent of participants reported being dissatisfied with their LASIK outcome, meaning 98.8 percent of participants were happy with the overall results of their LASIK procedure. Although LASIK results are overwhelmingly positive, it is common for patients to be concerned about potential LASIK complications. Patients should understand that complications are very different than side effects. LASIK side effects, such as dry, itchy eyes, and the appearance of glares and halos, are a normal and temporary aspect of LASIK recovery. LASIK complications are long-lasting issues that will most likely require additional treatment. While every patient can expect to experience some degree of LASIK side effects, complications are far less common. 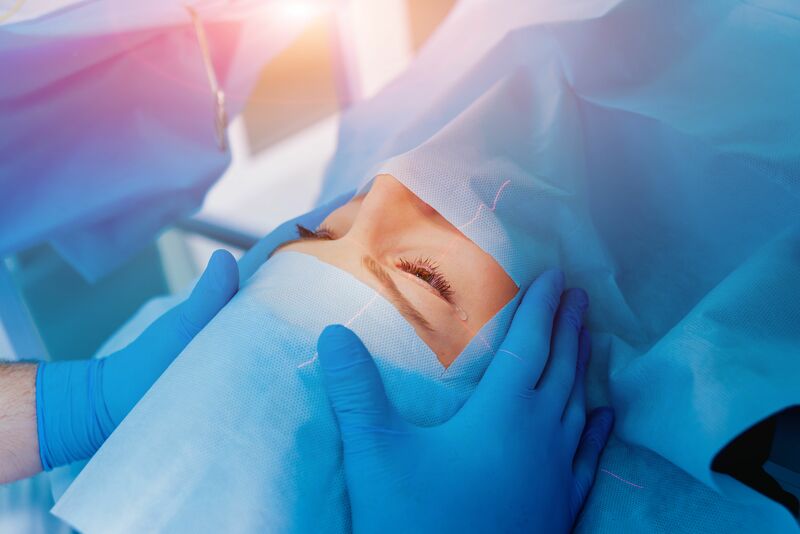 The American Refractive Surgical Council reports that less than one percent of LASIK patients experience true surgical complications. If you would like to learn more about the LASIK procedure, or whether you may be an ideal candidate for treatment, schedule an appointment with Dr. Raul Peña at your earliest convenience. Call (956) 661-8733 or (956) 264-1200 to learn more about our comprehensive range of eye care services.